How’s the start of work this 2017? We’re sure that you have already mapped a clear plan to further improve the activities and objectives of your aged care facility for the New Year. A more exciting program for the elders? Additional training for the care team? An effective transition of tasks from manual to automation with Geras Software? All set for more items on your pipeline and everyone is ready to do their best to achieve it! 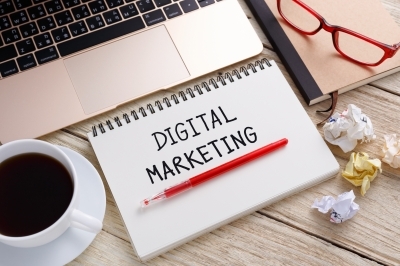 But have you considered integrating digital marketing to your overall goals? If you have not done that yet, this is the right time to finally explore your online visibility. Perhaps start with a platform that you are currently using and apply the features you are familiar to highlight. Take a close look into this— there are now three million people in New Zealand with a Facebook account*, why not start with it? with daily use. The important part is not to miss the possible clients that you can tap by not being to where they are. Begin your campaign with a positive mindset and make sure that you are consistent as you implement your strategy. Ask your family, friends, and staff to like your page and encourage them to invite others to like, too. You may also request them to engage—like, comment, and share. Plan your every day post and make sure it is useful to your fans. Aside from occasionally promoting your facility, you can also give tips, share videos, or articles related to caring for our elders and the importance of caregivers taking care of themselves. Answer comments and messages as soon as you can. If you need to transfer the conversation from Facebook to a phone call, then do so. The most important part of being on FB is to listen and directly respond to your community. Make your page human. If someone is celebrating a birthday or a milestone, you can select a nice photo to post. Real people drive higher views and engagement. Allot some time to learn and forgive yourself if you commit mistakes. You don’t have to check it at once but once you feel that you are more adept with FB, then it is time to click the Insights. This page will give you a clear picture of your fans (your most viewed posts, what time they are online, their gender, a lot more!) so you can tweak your content to better reach them. Stay focus and see online marketing as your next main tool to put your services on the spotlight. Given a time, you can also start browsing other social media or even put up your own website. Do you have questions? Get more online marketing tips or message us if you need assistance.